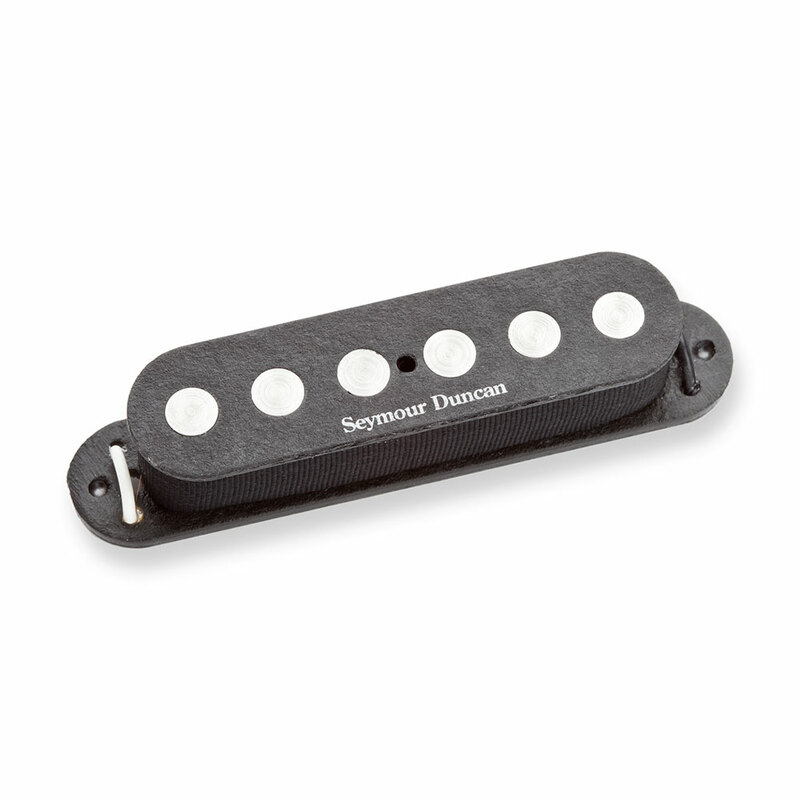 The Seymour Duncan SSL-4 Quarter Pound Strat Single Coil Pickup uses quarter inch diameter Alnico 5 rod magnets and an overwound coil to create their most explosive sounding Strat single coil. With more than twice the power of a traditional Stratocaster single coil, the Quarter Pound has a fat, punchy tone with plenty of top end sparkle, great sustain and big, full chords, becoming one of their most popular single coil pickups. They can be used in the neck or bridge position and with a RWRP SSL-4 in the middle position for a complete set. Finished with modern oval Forbon flatwork (non-triangular) which enables this pickup to fit into any guitar that is routed for single coils.